Looking for an easy and delicious recipe for pork chops? Too cold outside to grill? Bake them in your oven with this marinade sauce, and they will be your new favorite way to cook your pork chops. You can adjust the amount of sauce to how many pork chops you are making. This is enough for 4 - 6 large pork chops. Be sure to brush half the sauce on each side and enjoy! To make your marinade sauce, add soy sauce, Worcestershire sauce, lemon juice, vegetable oil, brown sugar, ketchup and brown sugar in a small bowl and mix well. 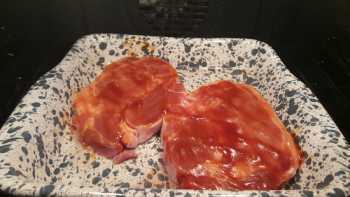 Place pork chops in a baking dish large enough for your pork chops, and brush on half the marinade. 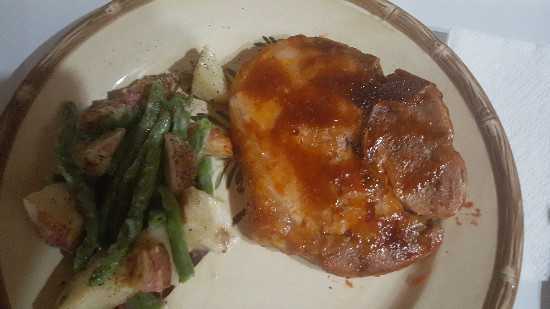 Bake pork chops 30 minutes an oven preheated to 350 degrees. After 30 minutes, turn your chops over and brush on the remaining remaining sauce. 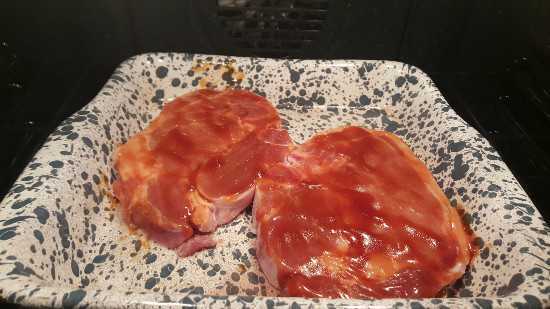 Bake for another 30 minutes, or until internal temperature of your pork chops has reached 155 - 160 degrees.